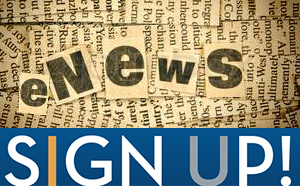 The Jewish World | 5777 newsmakers we don’t want to forget! By JACOB KAMARAS/JNS.org – The High Holidays are a time for prayer, introspection and for those fortunate enough, inspiration. Amid the headlines on terrorism and political disputes, some prominent newsmakers in the Israel and Middle East scene gave us something to smile about or admire during this past year. JNS.org spotlights high-profile individuals who made a positive difference—sometimes in unexpected ways—during the Jewish calendar year of 5777. “Wonder Woman” film poster, featuring Israeli actress Gal Gadot. Photo courtesy of Facebook. Indian Prime Minister Narendra Modi tweeted this photo of his beach walk with Israeli Prime Minister Netanyahu in July. The photo is hand-signed by Netanyahu. 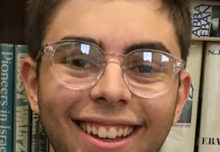 Photo courtesy of Twitter. U.S. Ambassador to the UN Nikki Haley addresses the 35th session of the U.N. Human Rights Council June 6, 2017. Photo courtesy U.N. by Jean-Marc Ferré. 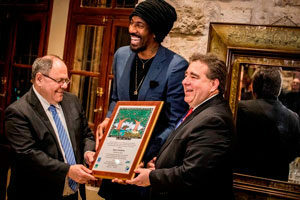 Amar’e Stoudemire, center, receives the Martin Luther King Jr. Award from Consul General of Israel in New York Dani Dayan, left, and Jewish National Fund CEO Russell Robinson in February 2017. 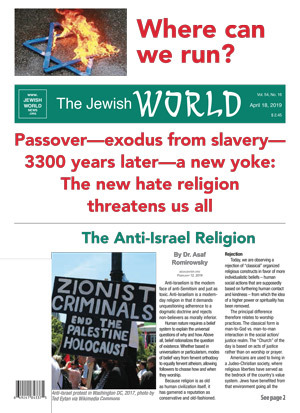 Photo Courtesy of Jewish National Fund. Despite Arab nations’ boycotts of “Wonder Woman” over the Israeli actress’s leading role, Gadot wowed at the box office while giving Jews, Israelis, feminists and comic book aficionados much to be proud about. 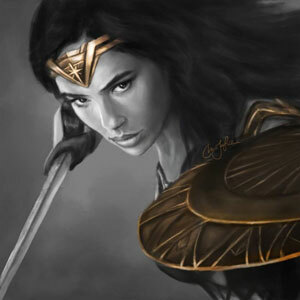 In late June, Gadot was ranked first in The Hollywood Reporter’s Top Actors list, which bases its rankings on actors’ popularity on social media sites. Israel has no shortage of enemies around the world. But Modi, by making the first visit to Israel by a sitting Indian prime minister, showed the Jewish state also has powerful friends—in particular, the world’s second-largest country by population. Modi’s trip to the Jewish state in July had it all, from technological collaboration, to meeting with a Jewish child orphaned by the 2008 terror attack on Mumbai’s Chabad House, to a beach stroll and jeep ride with Israeli Prime Minister Benjamin Netanyahu. 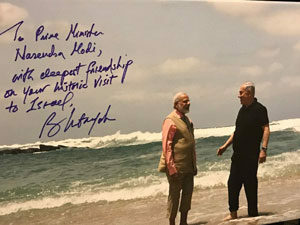 The Modi-Netanyahu “bromance” was sealed with the Israeli leader’s delivery of a hand-signed photo of the beach walk to his Indian counterpart. Israel has experienced decades of bias and disproportionate criticism from the United Nations, but the Trump administration—under the leadership of Haley, its ambassador to the U.N.—is vowing to chart a new course for the world body’s culture on the Jewish state. 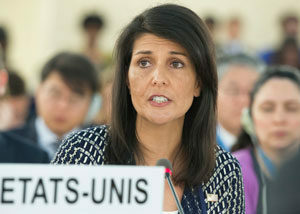 During her speech at March’s AIPAC policy conference, Haley described herself as the U.N.’s “new sheriff in town” and declared “the days of Israel-bashing are over.” Haley, who in April assumed the U.N. Security Council’s rotating monthly presidency, has promised to refocus the council away from the Israeli-Palestinian conflict. Danon, Israel’s U.N. ambassador, made strides by securing landmark roles as vice president of the 72nd Session of the U.N. General Assembly and chairman of the U.N.’s Legal Committee. Upon being dispatched to help defuse the Temple Mount crisis, President Donald Trump’s international negotiations representative has now made seven visits to Israel in the span of half a year. 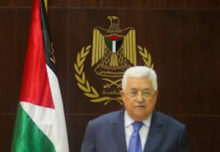 While pessimism is typically prevalent when it comes to the Israeli-Palestinian conflict, Greenblatt’s persistent diplomacy has earned rare praise from both sides. 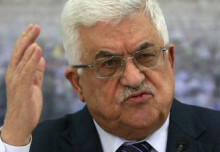 Following a meeting with Greenblatt in March, Palestinian Authority (PA) President Mahmoud Abbas declared that “under President Trump’s leadership a historic peace deal is possible, and that it will enhance security throughout the region.” Most recently, Greenblatt announced an agreement between Israel and the PA on a historic Red Sea-Dead Sea canal that will relieve Palestinian water shortages. Israel has constant security concerns internally and regionally, yet the country is as attractive as ever for international travelers. April and May set individual monthly records for tourists arriving in Israel, while the first six months of 2017 set their own half-year record with 1.74 million incoming tourists, a 26-percent increase from the same time last year. What’s behind the tourism boom? Levin, Israel’s tourism minister, cites his ministry’s new marketing strategies to “brand Israel” and to encourage airlines to open additional routes to the Jewish state. In July, Radiohead defied BDS pressure by treating Israel to the band’s longest performance in 11 years. This year, Jerusalem’s mayor saw the holy city mark the 50th anniversary of its reunification, a milestone feted significantly by Israelis and Jews around the world. Barkat is overseeing the development of infrastructure that will help Jerusalem grow into a major economic hub, including a forthcoming high-speed rail that will take residents from Jerusalem to Tel Aviv in just 28 minutes. Last year, Stoudemire moved to Israel and signed a contract to play for Hapoel Jerusalem, a franchise he had partially owned. Though he never won a title in 14 NBA seasons, Stoudemire got an Israeli league championship with the Jerusalem team in June. He also made his presence felt off the court, earning Israel’s Martin Luther King Jr. Award in February for efforts such as educating at-risk youths and providing safe drinking water in impoverished countries. Time to consider Chanukah stamps?